Aromatisse in game: 297 Who? Important notice! 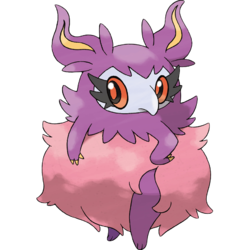 Pokemon Aromatisse is a fictional character of humans. Aromatisse (Japanese: ????? Frefuwan) is a Fairy-type Pokémon introduced in Generation VI. 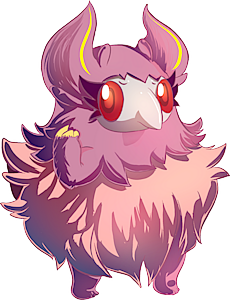 Aromatisse is a small, bipedal, bird-like Pokémon. 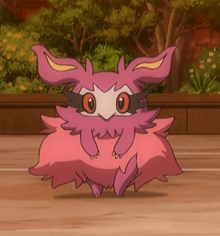 Its body is purple and is surrounded by a pink fur or feather-like coat, with a black bow on its lower back. 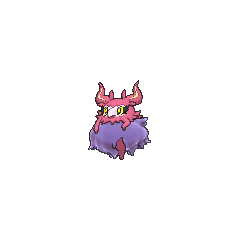 Its face resembles a mask used by plague doctors, or a masquerade mask. 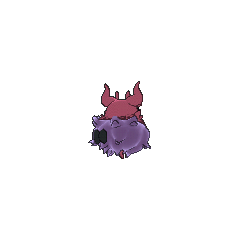 It has a pair of purple, ox horn-shaped ears with a yellow center. 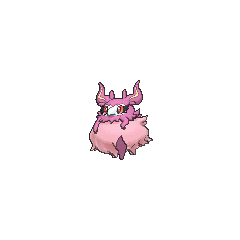 It has eyes with red sclera, black irises, red pupils, and full, black eye lashes. It also has three sharp claws on each small hand. Aromatisse made its debut in Battling with Elegance and a Big Smile! under the ownership of Aria. 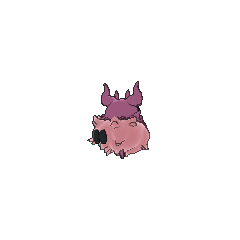 An Aromatisse appeared in Pikachu and the Pokémon Music Squad. An Aromatisse appeared in Summer of Discovery! on a Pokévisionvideo icon. Frefuwan may be a combination of fragrance or fresh and ???? fuwafuwa (light, airy, fluffy).